Rolls-Royce said today its deliveries increased 31 percent to 3,538 cars in 2011, the highest annual sales in the ultraluxury brand's 107-year history. The BMW subsidiary's largest market last year was Asia-Pacfic, including China, followed by North America, the Middle East and the UK. "We had an outstanding year in 2011. Our business is in excellent shape," Rolls-Royce CEO Torsten Mueller-Oetvoes said in a statement. The brand's sales grew by 47 percent in Asia-Pacific, 17 percent in North America and 23 percent in the Middle East. "China and the United States were the most significant individual markets for Rolls-Royce," the statement said. "The United Kingdom performed well, reporting 30 percent growth in the year. In Continental Europe, Germany and Russia were the largest growth markets, each more than doubling sales compared to 2010." 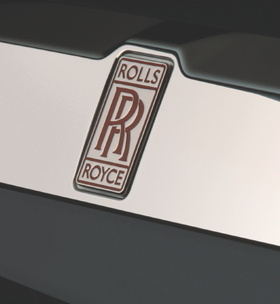 Rolls-Royce's previous record annual sales was in 1978 when the brand sold 3,347 units. Rolls-Royce wants to expand its global dealer network to 100 outlets from 84 in 2012 and is moving into new markets including South America..
Mueller-Oetvoes gave a hint about how much an entrepreneur would need to spend to become a Rolls-Royce retailer when he told Automotive News Europe last October that "the investment in a showroom is up to $350,000 -- without the real estate." Mueller-Oetvoes added that the worldwide number of super-rich potential customers for high-end products is growing. "There are currently about 90,000 ultra-high-net-worth individuals," he said in October, "but in 10 years we expect this to grow to 125,000. That fact alone makes me optimistic about our prospects." Rolls-Royce begins work to expand its factory in Goodwood, England, in February.